Using WebKit as a NSControl ! This is some sample code following Establishing manual Cocoa Bindings. 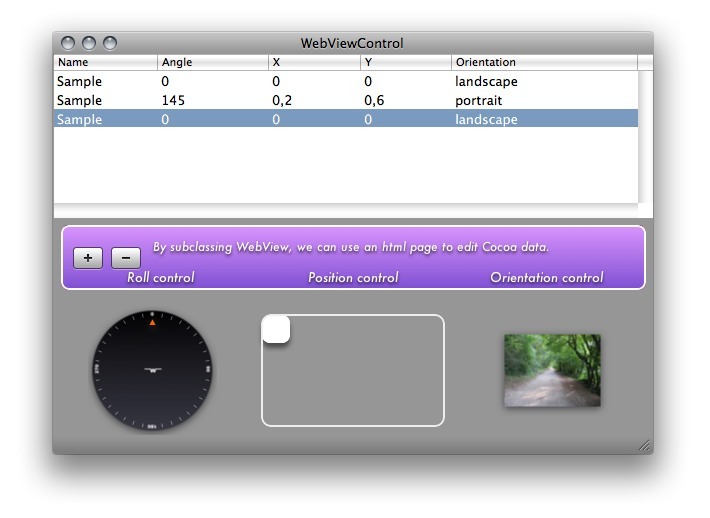 It subclasses WebKit's WebView into WebViewControl, then loads an html page and moves data to and from ObjC. This shows how to manually setup bindings (done here in the application controller on applicationDidFinishLaunching) and how to handle observers in your bound class. I'll have to check how this can be mixed with undo/redo.